Home and business owners are steadily realizing that closed circuit television systems (CCTV) provide a satisfying level of security and protection that other systems simply can’t match. As the world becomes a more dangerous place, security becomes increasingly important. A well designed security system (for Surrey and Berkshire) can efficiently and effectively increase the level of security at your home or business. 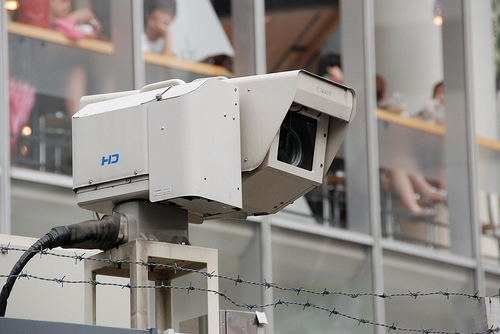 Here are just a few reasons that you should consider installing CCTV on your premises. Burglar alarms have long been known to deter crime – here’s some other deterrents to consider. When criminals go looking for a place to ply their nefarious trade, studies prove that they stay away when visible security systems are on display. If simple alarm systems have this effect, then think about how much more of a deterrent it will be when burglars know that cameras are on site that will capture their every move and facial expression. Not only will criminals think twice about attempting to rob you or harm the people on premises, they will likely pack their bags and move on to a property that doesn’t have CCTV to document their moves while help is on the way. CCTV is there to keep an eye on your property when you are away. Let’s face it. No one can be everywhere at once but with a property equipped with a CCTV system there are always eyes on the premises. It’s a great way to maximize your security while reducing the chances of a break in security while you are away. Peace of mind comes when you know that you are protected with a well-designed CCTV system. Continual monitoring means that you are always covered no matter what time of day or night. The additional set of eyes means that your property is always protected and you can relax knowing that everything is covered with state-of-art security equipment. CCTV security systems are more cost effective that the alternatives. When it comes to staffing costs, security guard salaries come at a steep price. Many companies find that by combining guards with CCTV systems, they can reduce their long term costs without sacrificing their security. Reduced labor costs come with placement of cameras in just the right places. In addition, many companies find that their insurance rates actually go down when devices to record activities have been properly installed and are running continuously. Remote monitoring and real time response means that help can be quickly on the way. With cameras located at a variety of strategic locations throughout the property, you have the ability to send a live feed back to one or more monitors at a selected location. This means that no matter what time of day it is, watchful eyes assure you that all is well. Should the unthinkable happen and a breach is spotted, then police can be immediately dispatched and arrive with a quick response time. When it comes to crime, an ounce of prevention leads to faster resolution. Keeping in mind that no system will ever be completely protected, it’s good to know that the footage from your CCTV cameras will be available to resolve a break-in after the fact. While installation of a reliable CCTV security setup will deter most criminals, it is also there to ensure rapid detection so that help can be on its way in record time. At the end of the day, it is this protection that CCTV provides when the worst happens that is increasingly making it the security system of choice for more and more business and home owners. If you are in the market for a robust barrier against criminal activity, a CCTV security system provides help by deterring criminals and providing rapid responses when a breech does occur. A powerful tool for investigations and swift resolution, more and more people are making the security switch to CCTV.